In vitro tests and on site experiments have demonstrated the effectiveness of superheated dry steam in eliminating bed bug infestations with a few targeted treatments. At the first treatment, the superheated dry steam of Cimex Eradicator is able to eliminate 100% of the eggs and more than 90% of the adult insects. The tests were conducted by Pest 2000- Pest 3000. The special benefit of Cimex Eradicator is the dry and superheated steam which is generated in the boiler and then brought to a temperature up to 180° C in the controlled expansion chamber positioned inside Polti's worldwide-patent "Steam Disinfector" nozzle. Cimex Eradicator is a low environmental impact method for eliminating bed bugs which does not require the use of insecticides. After treatment the premises are reusable immediately, no waiting, and the mixture of steam and HPMed can be dispensed with people present. It's effective, fast and the flow of steam can be directed into nesting areas, to reach even the most hidden corners hardest to treat. The use of the detergent HPMed is the ideal combination, given its characteristics, with the superheated dry steam action provided by Cimex Eradicator . 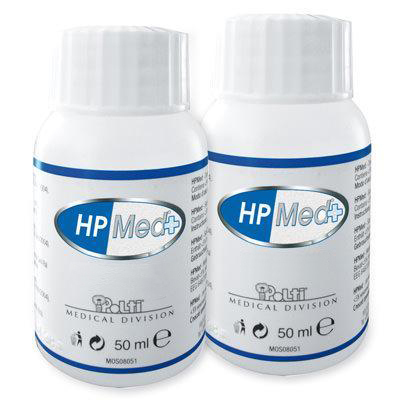 HPMed is a water-alcohol solution able to remove the bad smells generated by bed bugs. 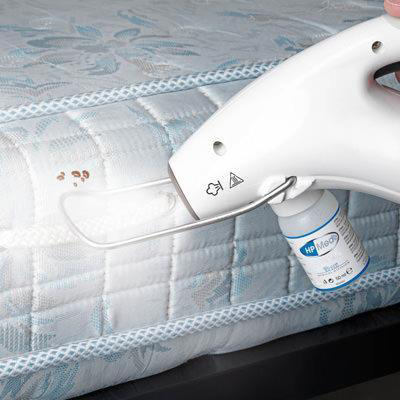 The mixture of steam and HPMed can even be dispensed with people present, it facilitates the removal of eggs from surfaces and organic traces due to bed bug droppings.